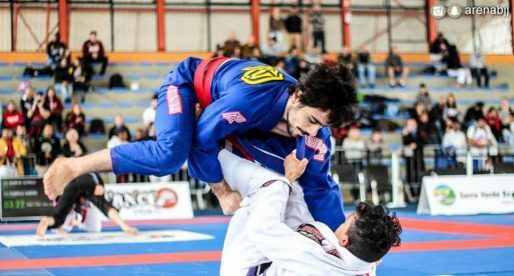 While earlier this year the French-speaking Canadian province of Québec was declaring war on Brazilian jiu jitsu by deeming BJJ tournaments illegal, one native carried on with his mission of developing this martial art towards worldwide recognition – David Aguzzi, founder of Grappling Industries, a project he’s been working on for 6 years. Aguzzi started training jiu jitsu in 2000 after watching an old tape of Guy Mezger submitting Tito Ortiz at UFC 13, a performance that convinced David of submission grappling’s efficiency. Currently a brown belt, David dove into the competitive side of this martial art from the very get-go, be it grappling opponents on the arena or refereeing matches. Another interesting aspect of G.I. is the tremendous reach the promotion has conquered in such a short amount of time, having spread not only to neighbouring United States, but also to Canada’s Commonwealth ally Australia. This Aussie connection is quite an interesting one, as David explained: “We first started with expansion to Australia in 2015 which is a story worth an article by itself. Through Kit Dale and the help of local Canadian Scott Bacon, I found Ben Hodgkinson in Australia who I nailed it off with. We took Grappling Industries to Melbourne, Sydney, Adelaide, and Brisbane 3x a year each, receiving great reviews and stabilized our foundation quickly there.” Grappling Industries took off in the USA during 2016 with events in New York and Chicago. 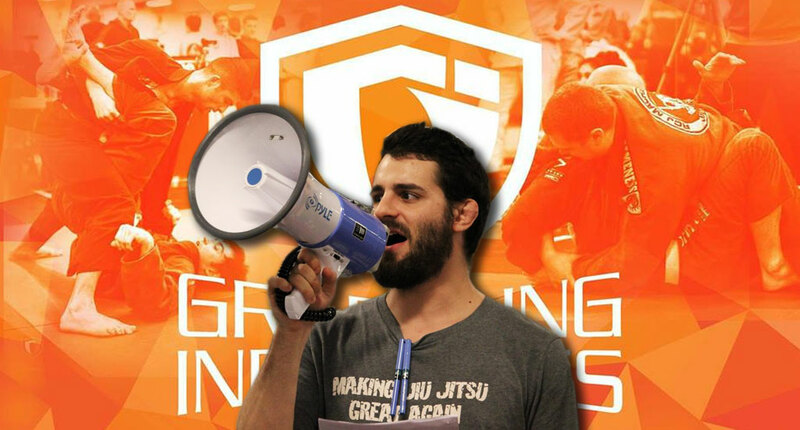 David has since brought on board Marcos Flores as the full time director of Grappling Industries USA to help expand the operations, and expects to produce tournaments in every American state by the end of 2018. 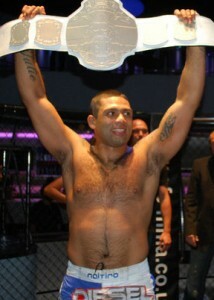 D. Aguzzi’s picture on the banner taken by Danny Jobidon.